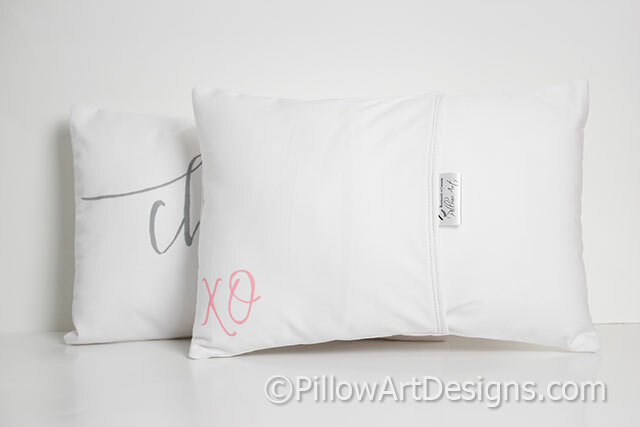 Personalized name pillow measures 9 X 13 inches (approx. ), comes stuffed with hi loft polyester fiberfill, no need for an insert. XO painted in soft pink on the back left bottom corner. 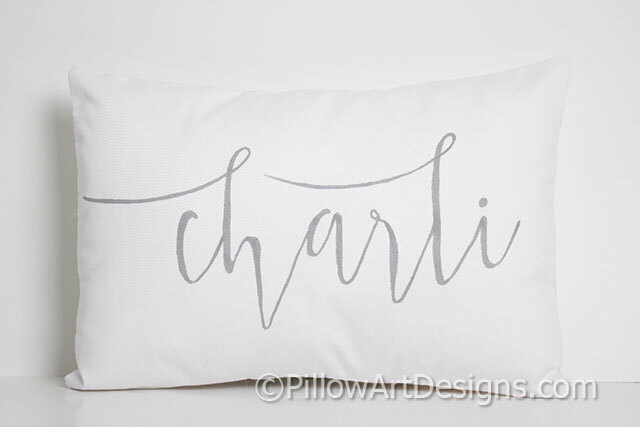 Name is hand painted in modern script font, using grey non toxic fabric paint. Other paint colours are available, please inquire with your preference. Outer fabric is white cotton polyester twill, fully lined with white cotton polyester for a nice shape and fabric thickness. 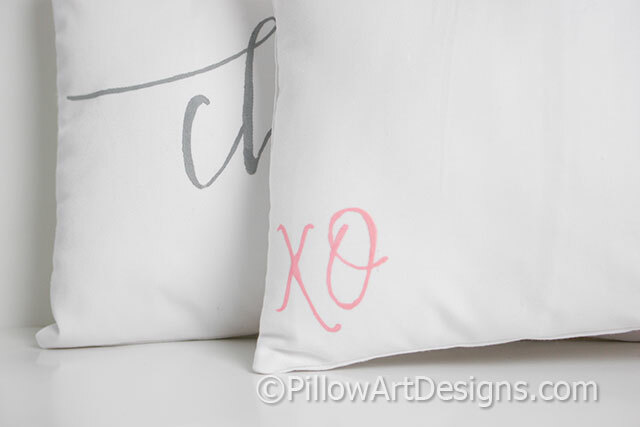 To order, purchase this listing and remember to send me an email here with the name you wish for the front of the pillow (and alternate paint colour if you do not choose grey).